Hello, Doodlebug fans. 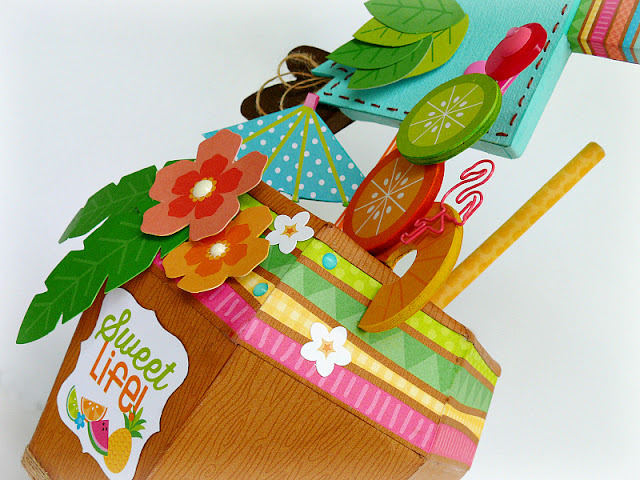 Jennifer here and today my project will feature one of Doodlebug's newest collections Fun in the Sun. I have to admit this has to be one of my favorite Summer themed collections ever. The only problem I had was trying to decide what I should create first. After changing my mind dozens of times, I finally settled on this fun tropical drink and bird. 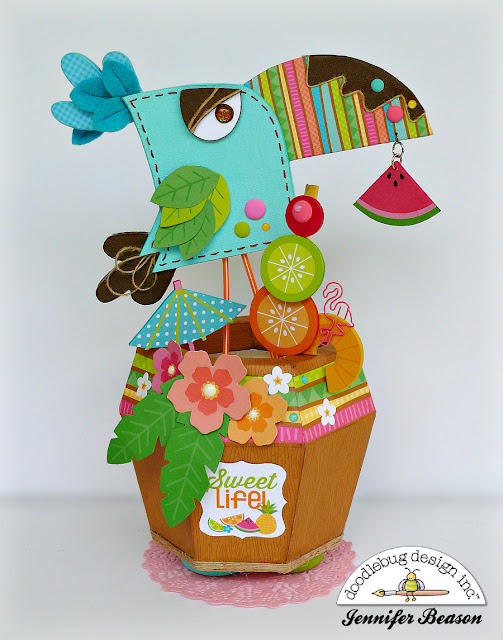 The bird was cut out of layers of chipboard and foam board, then embellished with die cut leaves, and sprinkles. Pixie sticks were used for the legs, and a couple of jump rings were used to attach a watermelon die-cut to the birds beak. I also added some felt petals to the feathers on his head, some jute twine on his beak, eye, and tail-feathers. I found a wood cup in the craft section at Target and thought it would be a perfect base for my bird to stand in. After covering the cup with wood grain and striped patterned papers from the collection, some jute twine was glued around the bottom. Some flower arranging foam was cut to fit inside of the cup then covered with a piece of sugar coated cardstock. (The foam is to help support the bird, fruit and straw.) 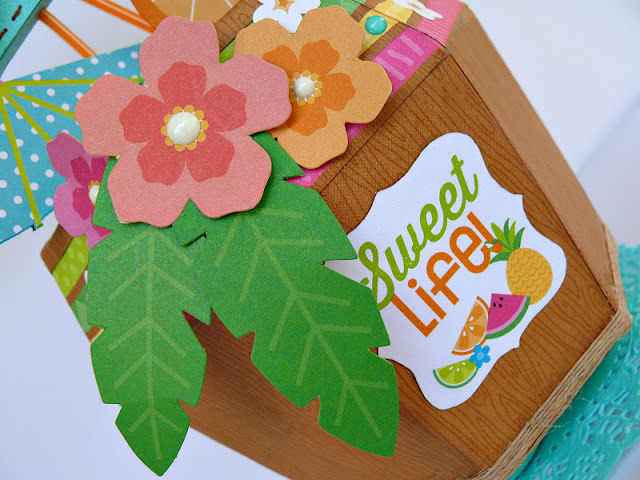 The cup was then embellished with die-cut leaves, flowers, stickers and sprinkles. 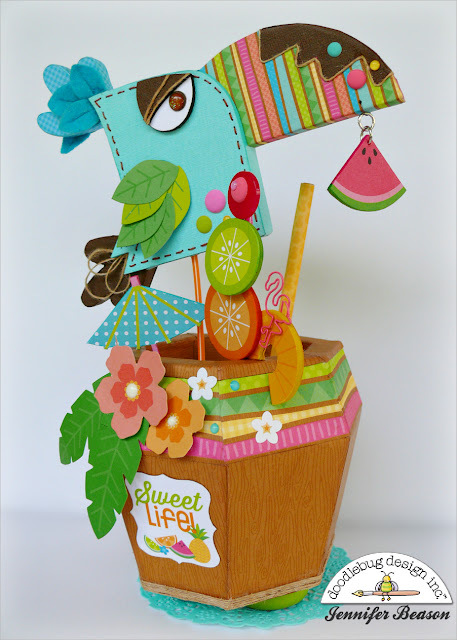 To make the drink look more tropical, a die cut umbrella and some fruit were added along with a straw (a wood dowel covered with paper). 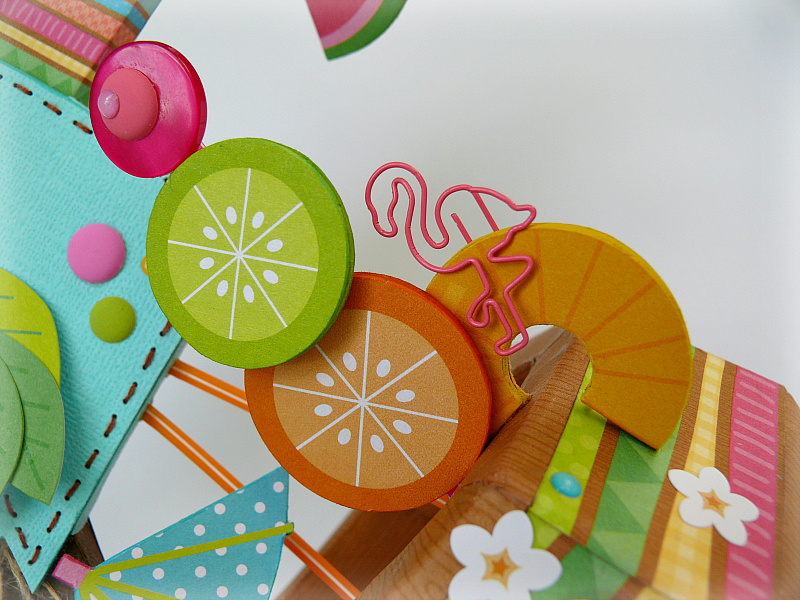 As you can see in this close-up, the fruit and umbrella were mounted to chipboard, before being applied. Here's one more photo of the finished project. Jennifer you know I love all your projects an this is no exception!!!! love this amazing bird! This is just fabulous Jennifer!! Love the Toucan!!! This is amazing Jennifer!! I adore the brightly colored bird! You're a true artist girl!!!! OMG WOW!! Your Creation is Funtabulous!! You so did one incredible Super Outstanding Creative job!! Problem is...everyone is going to want one!! I have to admit I did LOL when I saw it....Talk about a Fun creation!! Your Tropical Drink is total Fabulousity...to the max.....I love it!! 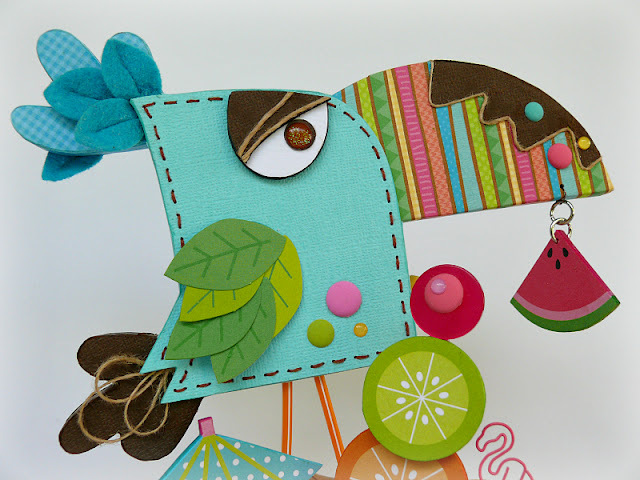 This is INCREDIBLE - what a cool and super fun way to use the new Doodlebug collection!! love it! You are so creative and talented! I am in awe of this fabulous creation! Everything about this is amazing! What a wonderful way to showcase the awesomeness of the new Fun in the Sun collection!